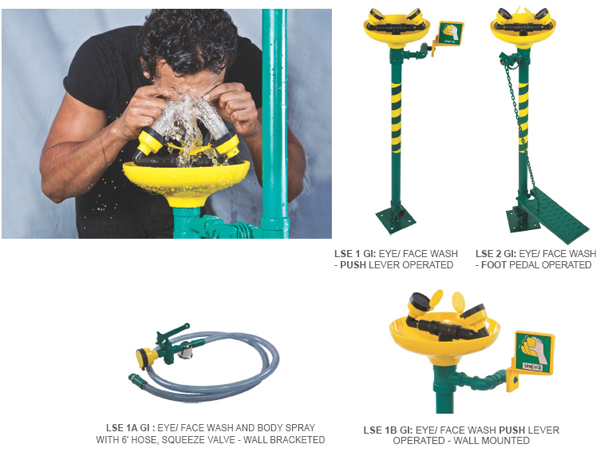 LSE 2 GI Eye Wash Fountain Paddle and Push Type – Tech Solution (BD) Ltd.
Supply ½ inch Recommended pressure: 30PSI/2kg. /cm2, drain 1 ¼ inch. 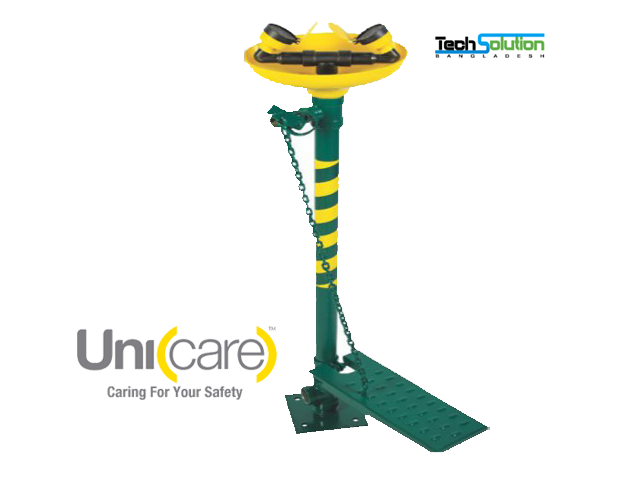 Use maintenance of emergency equipment. The key features of the eye /face wash is the ability of the cushion-flow atomizer heads to deliver a soft, feather–like flow effect to the injured ocular area. 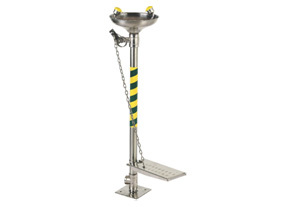 High visibility yellow extra-large cycolac receptor bowl resistant to damage alkalies, salt solutions, oils, most acids. 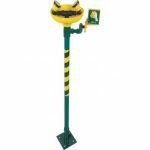 Twin cushion-flow cycolac atomizer heads in safety black & yellow with flip-flop dust covers that protect heads &amp; automatically releases with water pressure. 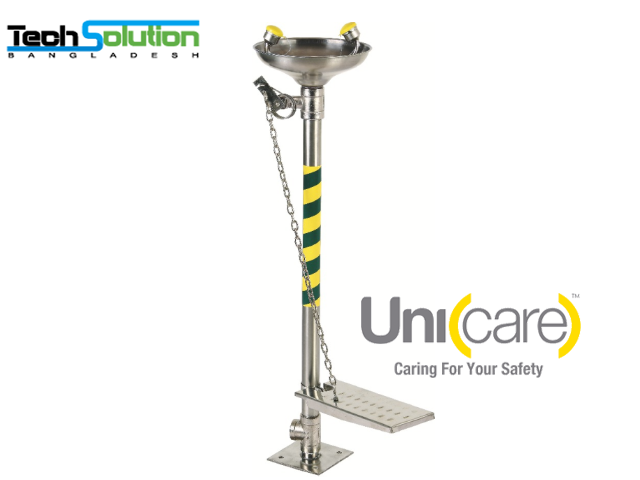 Yellow cycolac push plate/foot pedal operated stay-open brass ball valve with stainless steel ball & spindle. Steady water flow under varying pressures assured with automatic pressure compensatory for 30-90 PSI.